Let’s go social! Before and at the Forum cinfo 2016 we’ll be present on different Social Media channels, including this eventblog, Facebook, Twitter and LinkedIn. We look forward to receiving your input and interacting with you! Finally we can uncover some information about this year’s Forum. Where will it take place? What will happen during the day? Who will be there? We also promised that there will be an exciting programme. Curious? Find out more on our website! Moreover, we will be blogging about the event during the next weeks. →Follow us on this blog and on our Social Media channels and stay up-to-date! Forum cinfo 2016 – get ready! Are you an experienced professional looking for a new adventure in the domain of international cooperation (IC)? A young graduate aiming to start a career in this area? Or a Senior expert thinking about how you can transfer your skills and experience to a new generation of aid workers? 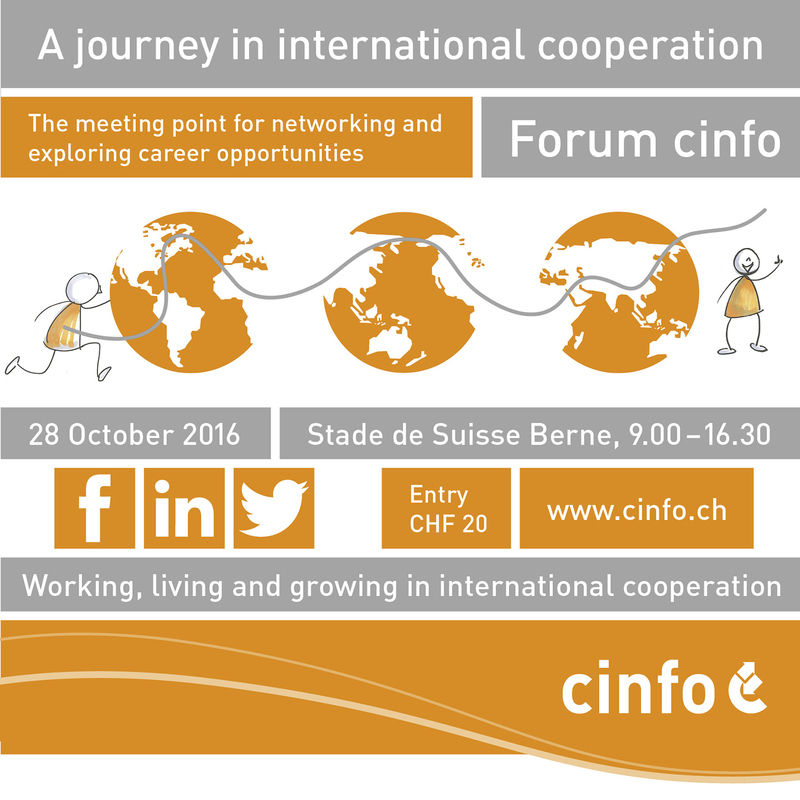 Then you are most welcome to attend the Forum cinfo, the largest career fair in Switzerland focusing on the labour market of international cooperation! All this in an amazing location: the Stade de Suisse in Berne! Did we spark your interest? Don’t miss any news and follow us on this event blog (follow function), our website and Social Media channels ! It’s time to start your journey in the IC working world and get inspired! gabriela.mueller on What to expect? Post2015.org - what comes after the MDGs?